Small Dog Breeds: Generally a small dog (most small dog breeds belong to toy group) is considered to weigh less than 22lbs or be shorter than 16 inches. Some of the small dog breeds on this page are much lighter or shorter than this and some are a little heavier or taller. Some breeds, such as the Chihuahua, are the smallest of the small weighing in at only 6 to 8 pounds and standing only 6 to 10 inches tall. While the larger of the small breeds weigh 24 to 36 pounds and stand at 14 to 16 inches tall. So, your first choice is to decide if you want a really small dog like a Chihuahua or if you don’t mind a larger small dog. It might not bother you either way. The really small dog breeds are really easier to pick-up, transport, and carry around. small dog breed info. small dog pictures and videos below ! Some small dogs shed virtually no hair. These low-shedders shed so little that you’ll struggle to find one hair in your home. If you hate dog hair and don’t have time for extra vacuuming, then one of these breeds is right for you. Some other breeds shed a moderate amount of hair: you’ll find some stuck to your carpet, clothes and couch. Then there are the small dog breeds who shed a lot. These small dog breeds shed enormous amounts of hair. If you own one, you’ll find hair on everything in your home. You’ll find lots of hair on your carpet, sofa, and clothes. Probably even on your kitchen table and in the fridge. It gets everywhere. If you want a small dog that’s easy to train then pick one of these breeds. The breeds below learn commands very quickly. Keep in mind that just because some breeds are fast learners and easy to train compared with other breeds it doesn’t mean they are more intelligent than the other breeds. Ability to learn commands off a human quickly and intelligence are two separate things. For example, a slower learning breed may simply be more stubborn or strong headed when it comes to training or get bored more quickly and therefore take longer to learn the commands. But that breed may very well be just as intelligent as any of the easy to train breeds below. These small dog breeds are a joy to train. Always eager to learn from you and please you. A watchdog is different to a guard dog. A watchdog barks to raise the alarm. His job is to warn you when a stranger is on your property. On the other hand, a guard dog is a dog that actually attacks or simply looks intimidating to scare intruders away. None of the small dog breeds below are guard dogs, they just aren’t big and scary enough. Dogs have different energy levels. You should choose a dog breed that will suit your lifestyle. If you get a dog for example who is really active but you don’t have the time or the inclination to indulge in high energy activities like running, adventure sports or games then its never going to be a match made in heaven is it? If you are an active family go for an active, high energy dog, if you are more laid back and sedentary as a family then make sure your dog is a bit of a couch potato too ! Match your energy with your dog breed and find true happiness for both you and the dog. If you already have another dog then make sure that your new dogs energy level matches with your older dog as well. Why ? 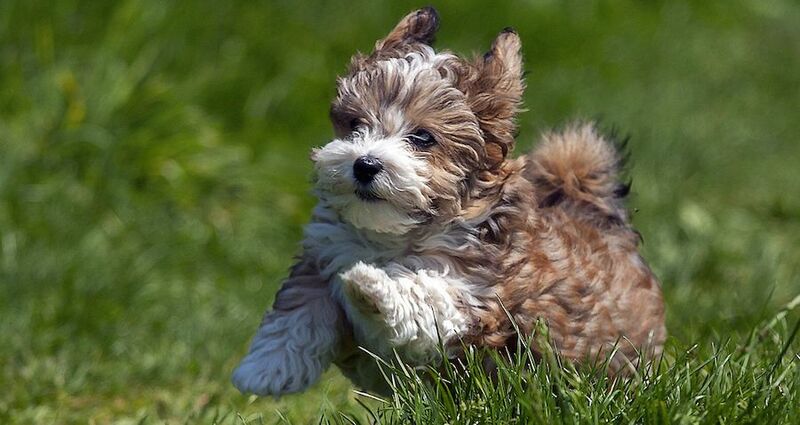 Because the Maltese are bred to be cuddly companion dogs, and thrive on love and attention. They are extremely lively and playful, and even as a Maltese ages, his energy level and playful demeanor remain fairly constant. Maltese have no undercoat, and have little to no shedding if cared for properly. Like their relatives Poodles and Bichon Frisé, they are considered to be largely hypoallergenic and many people who are allergic to dogs may not be allergic to the Maltese. Why? Because the Bichon Frise is merry and cheerful and the breed standard calls for a dog that is “gentle mannered, sensitive, playful and affectionate”. The Bichon Frise loves human company and demands much of your attention. They are generally very sociable and do well with a family that takes them everywhere. They are charming, affectionate, and intelligent. They do well with children because they are playful and have lots of energy. Bred to be companion dogs, the Bichon Frise tends to get along well with both children and other animals. Bichon Frises are very obedient if training is started early and continued consistently. They are also considered to be non shedding dogs. Why? see the video – they are really smart and can lean many tricks ! Also, they don’t shed. Why? Because the Lhasa Apso is naturally healthy and tough – yet cute and small. They are also good watchdogs but don’t bark unnecessarily. 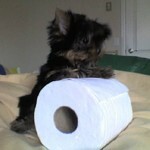 Yorkshire Terrier , Pomeranian bark a lot. Beagle makes weird noises ! 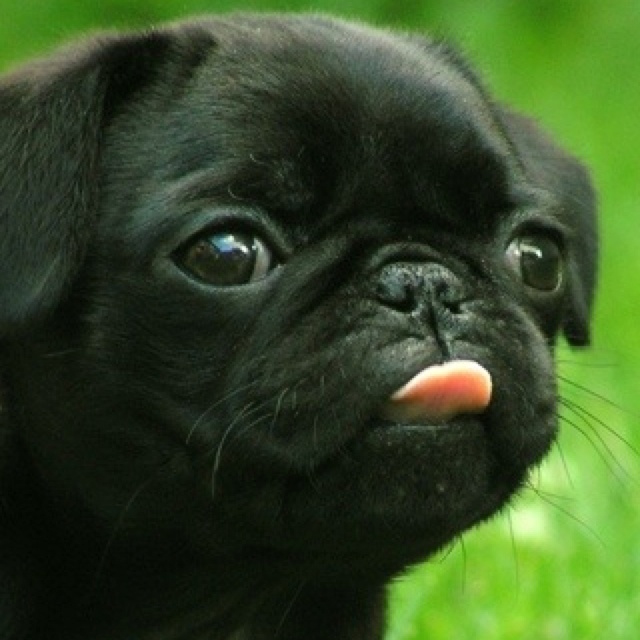 All dogs with flat noses ( like pug ) have trouble eating as well as breathing – so they have problems digesting – and many related problems like gas and snoring ! Also, Pomeranian, pug and beagle sheds a lot of hair. The Chihuahua may bite or snap at kids, the Shih Tzu is nice (we like it) but it is really quite dumb ! The Japanese Chin is one lazy dog. The miniature schnauzer, fox terrier and some other terriers are too energetic – they are jumping all the time – you would not know what to do with them as they are super hyperactive ! 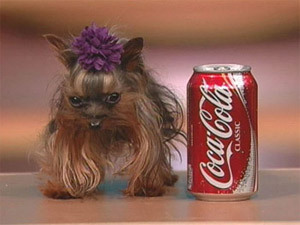 Pinnochio is the world’s smallest dog weighing at one pound and only the size of a coke can. However she is not alive anymore. Her owner found her dead after overeating herself to death. Meet Milly. She is a three month-old Puerto Rican Chihuahua who might be getting some big recognition soon. 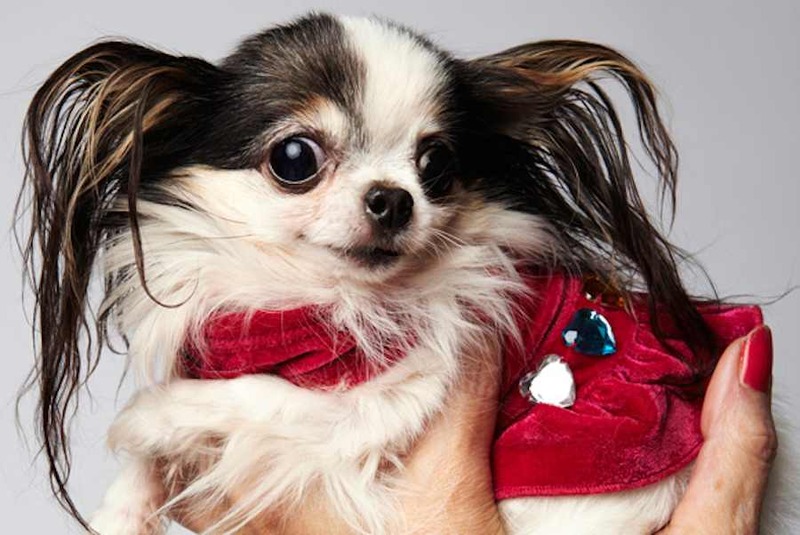 Milly is on her way to earning the title for World’s Smallest Dog. She weighs about 7 ounces and is 3 inches tall. To get an idea of just how petite she is the dog’s caretaker said – when she was first born she received milk from an eyedropper ! If Milly is crowned as the world’s smallest dog she will debunk Beyonce, a dachshund mix originally from California who at four-and-a-half inches was well on her way to becoming the world’s smallest pooch. But unfortunately for Milly, she might have to wait a couple more months before she is able to claim her official tittle. The Chihuahua is only three months old and the Guinness World Record only grants awards to dogs who are fully grown. For smallest animal records, it is required that the animal be fully grown, in this case at least 1 year old. Small dog syndrome is a behavioral problem found in small dogs. This issue causes the animal to act in a manner that is considered disobedient and uncontrollable. You will notice that the dog does not listen to your commands. Moreover, the dog may bark excessively, show aggression toward his master and strangers, show aggression toward other dogs and animals, and act possessive. A dog that is never disciplined assumes that the reason he is never disciplined is that he is the leader of the pack, the alpha dog. The leader of the pack is responsible for the safety of the rest of the pack. That’s why the small dog will barrel around nipping at strangers, barking at presumed intruders, and generally acting like he owns the place. The solution to small dog syndrome is a bit difficult, since you won’t be able to say “no” to the dog. Since it sees itself as the top dog in the pack, it doesn’t think it has to listen to you! You will have to show your dominance rather than vocalize your dominance. It’ll be hard at first, but remember that you’ll have to break your dog of these bad habits or forever live as #2 in your own house! If you can’t do it on your own, there are plenty of dog trainers out there who can help. 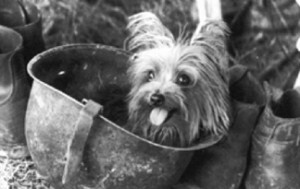 Smoky, the four-pound Yorkshire terrier that flew combat missions in World War II. Smoky was found in a foxhole by an American soldier and was sold to Corporal Bill Wynn for about $6. Wynn kept Smoky on the battlefield and in the fighter planes for the next two years, teaching him tricks and allowing him to comfort wounded soldiers along the way. This earned Smoky the distinction of being the first therapy dog on record. Smoky’s career as a joy-giver didn’t stop with the war, either — he performed with Wynn onstage at hospitals and military functions for another 10 years after VE day. Snowy (French: Milou) is a character in The Adventures of Tintin, the series of classic Belgian comic books written and illustrated by Hergé. 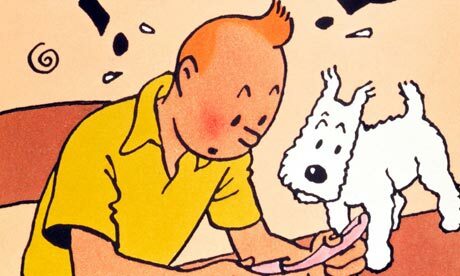 He is a white Wire Fox Terrier and Tintin’s four-legged companion who travels everywhere with him. The bond between Snowy and Tintin is very deep as they have saved each other from perilous situations many times. Snowy is a wire fox terrier. aracter in the series that is an animal. 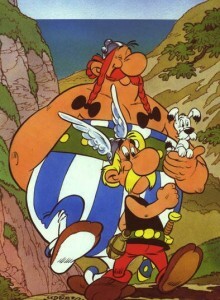 His role is minor in most of the stories, significant mainly as a ‘bone’ of contention between Asterix and Obelix as to whether he should be allowed to accompany them on their adventures. However, he is often doing something interesting in the background and occasionally fulfils an important part of the plot. In the words of the authors, Dogmatix is the only known “canine ecologist” who loves trees and howls in distress whenever one is damaged. Despite his small size, he is quite fearless. He has drunk the magic potion on a number of occasions, but his favourite treat is to ‘chew a bone’. 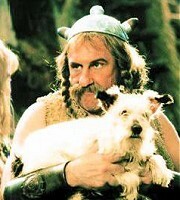 In the two Asterix films that have been released up to now, the dogs that have played the part of our little hero were Westies (West Highland White Terriers). Prior to these films, in an Asterix special by the Holiday on Ice company, the role of Dogmatix was played by a Maltese dog who had been on the receiving end of an extreme makeover and whose ears had been treated with a bio-dye in order to turn it into a perfect Dogmatix! 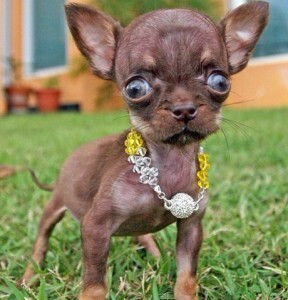 You may recognize one of the smallest dogs in the world Dancer here, he’s been all over the news in his short life. He was up for the title of world’s smallest dog for Guinness World Records in 2007, but lost out to an even smaller pooch. This little dog was only five inches high and 18 ounces, but his small stature didn’t stop him as Dancer often spread his love as a certified member of Caring Canines Therapy Dogs located near his Florida home. It’s possible that his diminutive stature may have factored into his death. The vet didn’t expect for him to live past six months. Yorkie. She is currently full grown, and weighs in at just over 1lb 8oz. 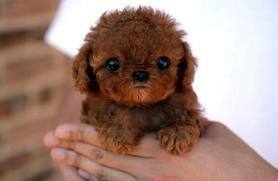 Its owners believe she could be the World’s Smallest Dog, if not the Worlds Cutest Dog! She is very healthy, and has a very energetic and bubbly personality. She loves to zip around our house, but also loves to lay in your lap. Sometimes, we don’t even have enough energy to keep up with her. Like the Energizer Bunny, she just keeps going and going. Measuring just 6 in. 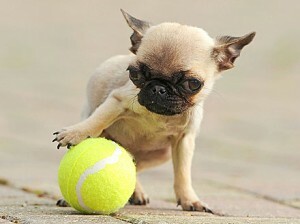 long and weighing 1 lb., 6 oz., Gracie could be the smallest dog in the world, according to the U.K.’s The Sun. 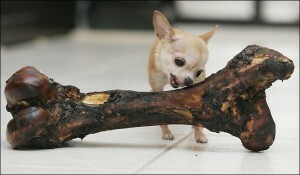 The tiny pug weighs 4 ounces less than Brandy the Chihuahua, who is the current Guinness World Records holder for smallest living dog (featured on top of this page with the huge bone). 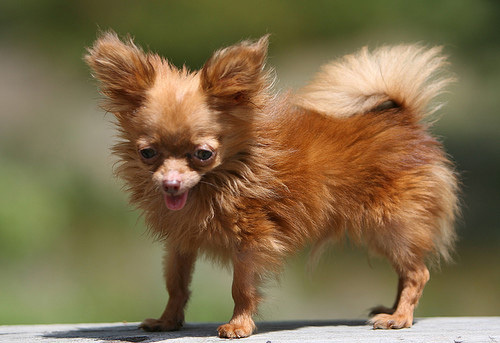 The smallest dog living, in terms of height, is a long-haired, female Chihuahua called Boo Boo, who measured 10.16 cm (4 in) tall on 12 May 2007 and is owned by Lana Elswick of Raceland, Kentucky, United States. Did you like this page ? Do Share it with all your friends and dog lovers. Sharing links at the bottom of page. Share your Small Dog Breeds story. Note: Upload only Small Dog Breeds picture or your picture with Small Dog Breeds below - spammer's ip may be blocked. 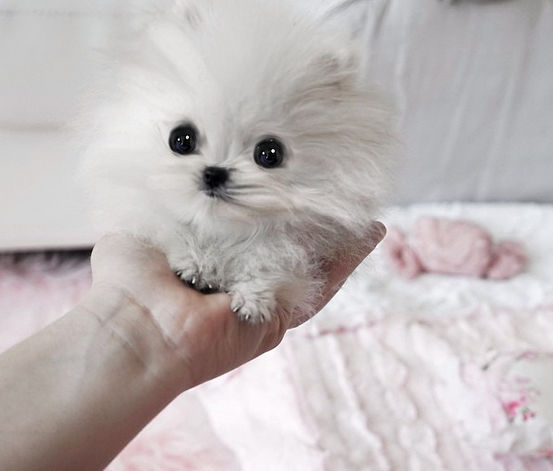 Teacup Pomerian pup that doesn’t even weigh 12 ounces. The dog’s breeder has deemed him Mr. Amazing, but surely Paris will change it to something much more appropriate, like Starbucks or Sparkling ! The dog weighs 11. 6 ounces and is only 2.5 inches tall. 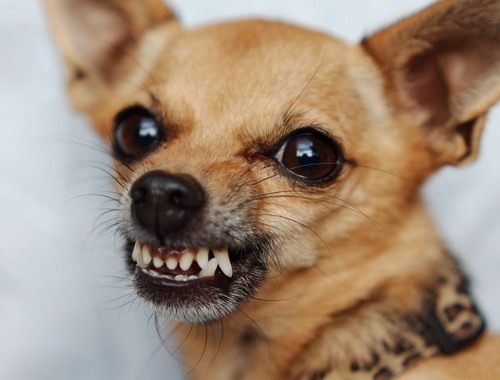 When a small dog growls there can be a lot of meaning behind and no, acting is not one of the reasons. Growling is one of the very few ways that dogs can communicate verbally, in nature there are only two kinds of growls, which are both triggered by instinct, one is growling during plays/activities, you may hear this when a dog is hunting, playing with toys or with another dog, the other simply means warning, which usually sounds deeper than play growls, the dog is warning something or someone to back off, if the situation still does not benefit the dog it may then bark, snap, freeze still or back off, freezing still does not mean that the dog is not doing anything, it is a warning sign. Nowadays, a lot of owners do not want to understand anything about their dog, they like to humanize anything that looks cute to them, this is selfish and does not benefit the pet in any form of ways, it will only cause more misunderstandings and will stress them even further. Growling is not to be underestimated, owners should always figure out the cause of the growl and solve it from there instead of finding excuse to say that their dog is just “acting”. One of the most common reason for dogs to growl is during meal time, when a dog is possessive of it’s belonging, it will guard objects that it likes ranging from toys, bed, food, your house or even the owner, never assume that your dog guards you or your house because it loves you, your dog simply does that because it assumes you belong to it’s pack, your dog guards the house because it assumes the place is it’s territory. When you give your dog it’s food, it should never be done in a serving attitude, most owners tend to portray certain actions that causes the dog to think that it is in charge, actions like kneeling down to the dog, coaxing the dog to eat, hand feeding them, giving food without the dog waiting/working for it, these are body languages to show that the dog is in charge, meaning that you are actually working to serve your dog instead of the other way round. Instinct growls aside, dogs can actually be trained to growl, bark or snap on command, this is a trick and should only be considered valid ONLY if a dog does that upon command. If your dog is growling randomly without being asked to then that is not a trick, it is simply showing signs of warning! Dogs are simple and straightforward animals that needs your understanding, they are not humans, they can never think 3 steps ahead of you, please do not humanize them. So no, if your dog is growling today without being asked to, it is not acting, please seek help if aggression occurs. Pugs Are Very Popular in England. These cute little dogs became quite a favorite with the upper class. They do have a regal bearing, don’t they? It is no wonder that this adorable little dog enjoys a worldwide popularity. They are cute, playful, lovable and make the most loyal companion you can find. It’s not surprising that when you review the list of names that people have come up with for their Pug that is becomes quite an interesting study. Certainly owners choose a name based on the characteristics of their little friend but, quite often, they choose a name after learning a little bit about the history of this popular breed. When you consider that Pug history is linked to royalty, the naming of your dog takes on increasing importance. Obviously, the most important history is your personal one. You will want to keep an accurate record of all medical information as well as any pedigree information your breeder or pet store has given you. You might also want to keep a scrapbook about your dog. Many people do. Pictures can be a part of your own Pug history. It’s very nice to take a look at photographs of your dog through the years so make sure to take lots of pictures. They grow up very quickly!